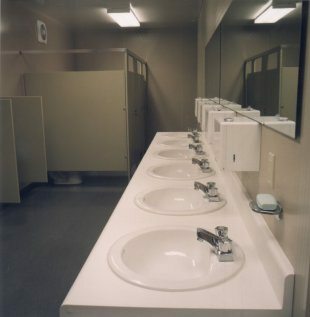 Panel Built can design, manufacture, and install restroom facilities to meet your specific needs. Available in a variety of layouts and finishes, a Panel Built modular bathroom can be shipped in a “knocked-down” or as a pre-assembled unit ready for final electiric and plumbing toe-in. Ideal for remote location maan-camps, military barracks, or just added restrooms within your current facility. The restrooms are available with all necessary accessories.